Hanger steel structure is kind of durable and strong material. With light weight, easy installation, simple transport, high safety, it is widely used in many fields, such as factory, civil engineering, warehouse, stadium. For pressure load, it includes heavy steel structures and lightweight steel structures. 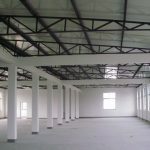 Heavy steel structure is mostly applied for industrial use, light steel structure is mainly applied for temporary house. Are u worrying about complex process of building? 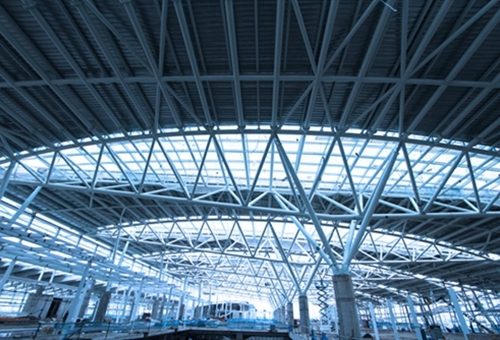 Now hanger steel structure is your suitable choice! It can make building faster, safer and easier! Send hanger steel structure quotation to sales@ellsenoverheadcrane.com. Our company has customized service, and designs, produces the most suitable building steel structure for you. 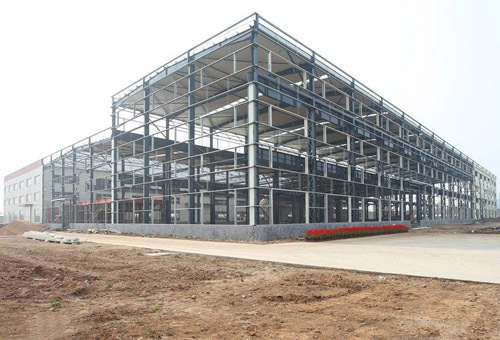 Steel structure factory is a new type building. This kind of industrial factory is different from common factory. It has advantages as following, long span, light dead-weight, simple installation and long term service. 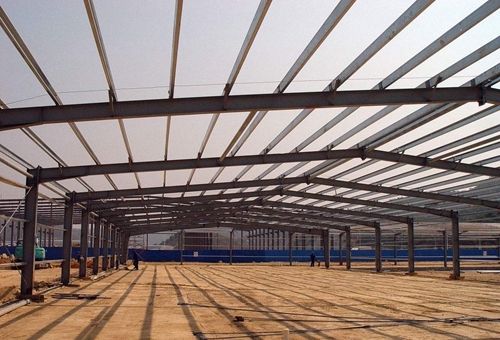 For the span, hanger steel structure is suitable for factory with long span. 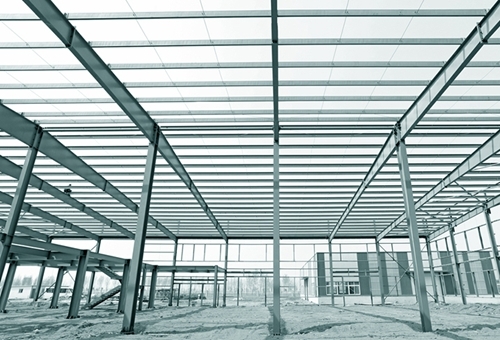 Because steel structure is strong and durable, it has high strength and toughness. Hanger steel structure is not easy out of shape. It can stand heavy load safely. For the weight, hanger steel structure itself has light weight. All structural steel industry can realize mechanization. This means steel frame structure can be customized according to practical needs. Mechanization makes steel structure produce with higher efficiency. For the installation, the whole process is much easier. 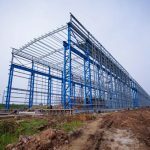 Compared with traditional industrial buildings, steel structure factory can be built during a few days. 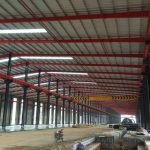 With simpler and safer features, many customers choose hanger steel structure to build their factories. For service life, hanger steel structure is through special process, and it has high temperature protection function, anti-corrosion function and fire-proofing function. This makes industrial steel structure long service life. Main steel frame includes steel column and steel beam. 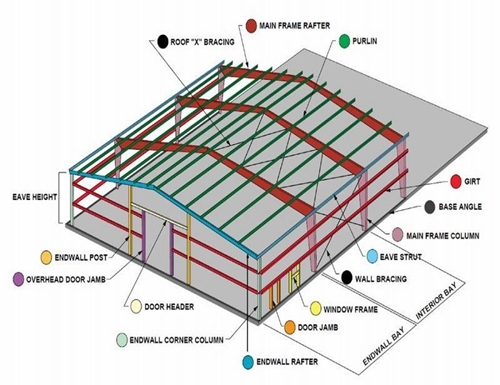 Supporting system has following parts: brace, roof purlin, wall purlin, roof, wall. Other accessories include bolts, gutter, windows, doors, downpipe, edge cover, ventilator and crane. For safety standards, our company provides high quality safety steel structures. The structure steel conforms to national quality standards and international requirements. Safety is key factor of product, so our company always put quality on the first place. 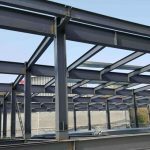 Reliable quality ensures the steel structure long service life and few maintenance, thus customers don’t need to replace steel structure parts or maintain frequently. Thus customers can save much energy and cost. For design standards, our company designs the steel structure based on customers’ practical needs. 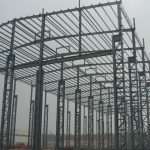 This makes every customer can get suitable steel structure. What’s more, steel structure parts can be produces through mechanization. 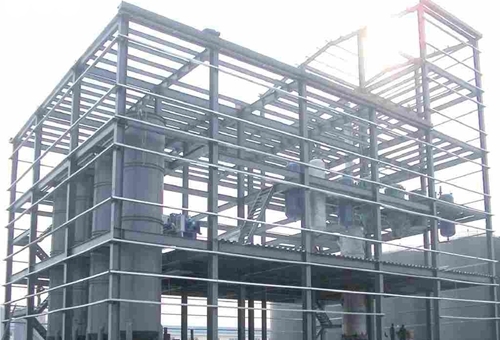 Steel structure assembling is usually done by specialized company. The following is about the project of structure assembling needs to be done. Assembly element made of more transport elements used when the assembly element is too long or has a complicated shape, therefore the transport of the assembly element would be complicated or even impossible. 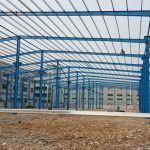 How to choose hanger steel structure manufacturer? 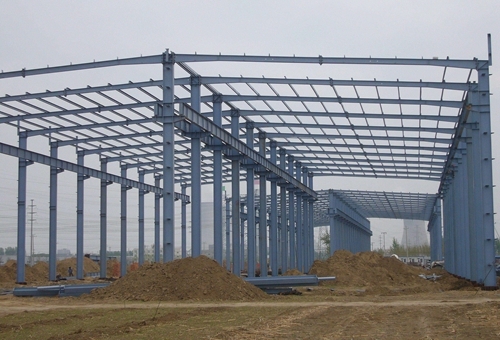 Reliable steel structure manufacturer is important for customers. Reliable supplier means professional skills, good performance, reasonable design and price and top quality. 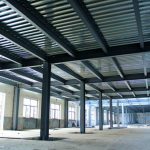 How to choose a reliable steel structure manufacturer? 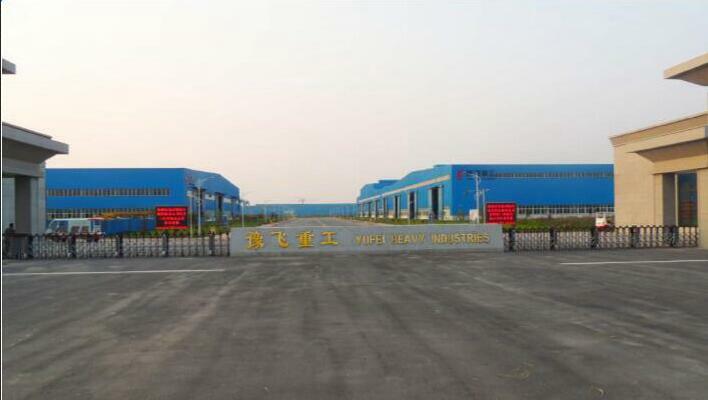 First the company has its own standard factory or cooperates with large factory. This can ensure the company has producing ability and produces the structure on time. Second, the company has its own engineers. Professional engineers means customized service and advanced technology. Third, customers should visit the company by himself/herself. Contact with the supplier face to face. This is the direct way to learn the strength of one manufacturer. Large elements can be transported at special conditions (special routes, road closed during the transport for other traffic, care should be taken about the load carrying capacity of the bridges, etc.) complicated, expensive. 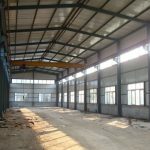 The steel workshop warehouse building is widely used for workshop plant, warehouse, office building, steel shed, aircraft hanger and many other places. 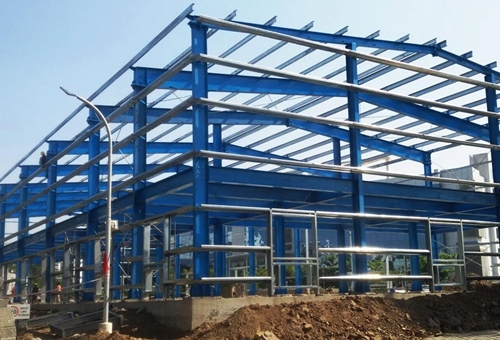 Our company provides hanger steel structure with characteristics, environmental friendly, low cost and few maintenance, long using time up to 50 years, stable and earthquake resistance up to 9 grade, fast construction, time saving and labor saving, good appearance! If you are interested in hanger steel structure, just send quotation to sales@ellsenoverheadcrane.com.